Turn walking into an effective weight training routine. Adding cardio and strength training into your exercise routine is one of the best ways to make yourself feel great. Not only will it give you a more trim figure, but also a combined cardio and strength-training workout can improve your metabolism, tone your muscles, improve your body image and help clear your mind. Walking in place, for example, is an easy, effective workout routine, and by adding some weight training to that workout, you can turn walking in place into a powerhouse exercise routine. 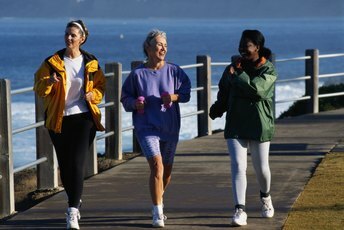 Incorporate added weight to your walking routine. 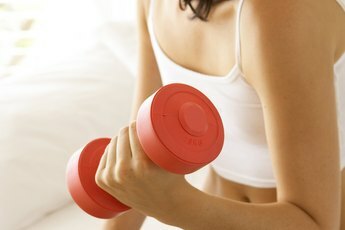 Exercise experts disagree on whether or not strapping on ankle weights or grabbing hand weights is safe or beneficial. The general consensus is that weight vests, though, are safe to use. Choose a weight vest that doesn't hinder you or cause you to feel weak. The weight vest will work best if it adds just enough weight for you to barely feel it. Perform your walking exercise routine as you normally would. The weight vest will make you work a little harder and burn a few more calories than you normally would. Add half a pound to 1 pound of weight after you feel you've mastered your walking exercise routine with your weight vest. It's best not to add an excessive amount of weight at a time so you don't injure or overextend yourself. Begin going on walks with your weighted vest instead of walking in place for a more challenging workout. Incorporate free weights or plyometrics training into your weekly exercise routine for more added benefits. 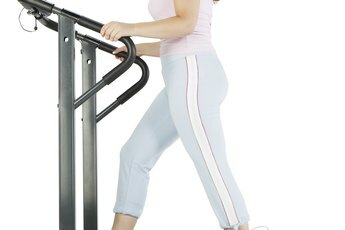 Consult a physician before beginning any new exercise routine. Yahoo! Voices: Is Walking with Weights Beneficial?